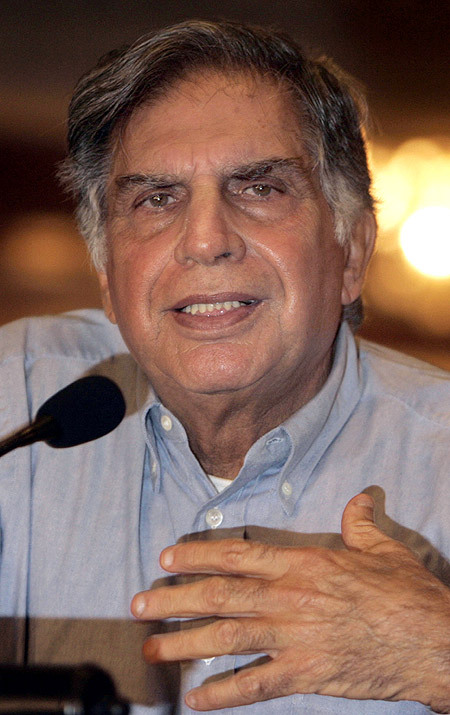 Ratan Tata is the most prominent Indian leader whose inner values and outer actions demonstrate an evolved higher level of responsible leadership, says Santhosh Babu. Who all could be role models when it comes to Organizational Leadership in this country? Is the leader's capability measured only within the context of the financial performance of his or her organization? 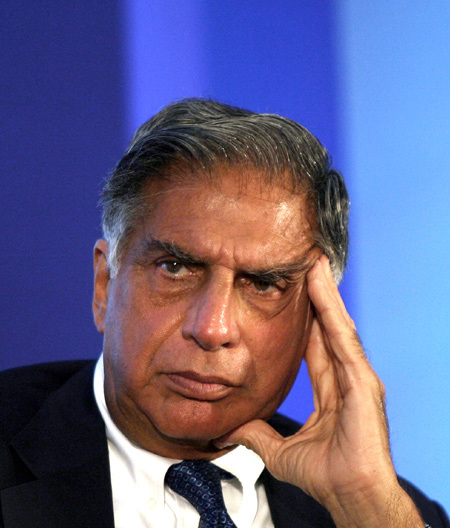 Enough is written and known when it comes to the business success of Tata Group, the global acquisitions and Ratan Tata's role in it. Let's look at Ratan Tata not just from a successful business leader but an ideal role model for Responsible, Authentic and Integral (Integrating inner values and outer actions) leader. 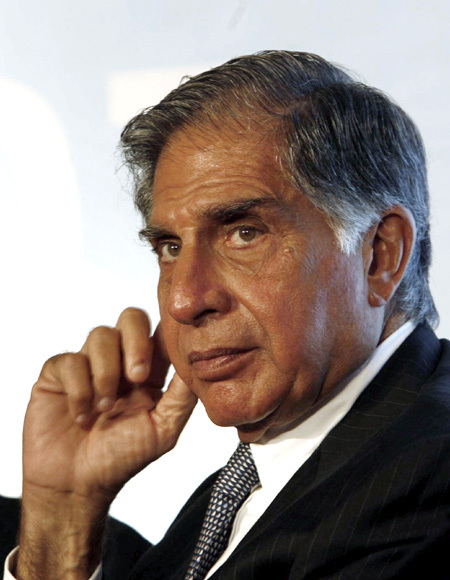 Ratan Tata is exemplar of a leader who is committed to Triple Bottom line. In my opinion he is the most prominent Indian leader whose inner values and outer actions demonstrate an evolved higher level of responsible leadership. 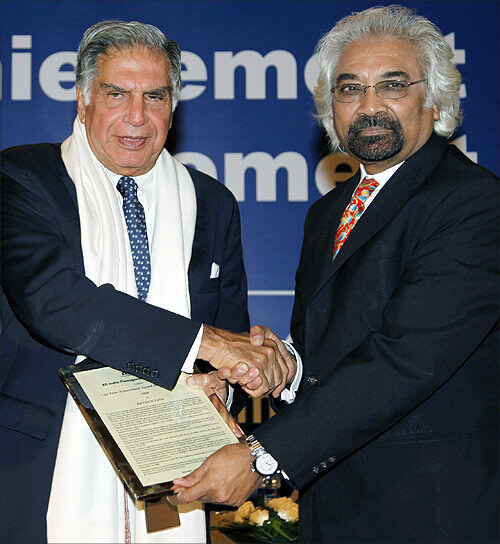 Image: Ratan Tata, chairman of the Tata Group, receives the lifetime achievement award for management from Sam Pitroda, advisor to the Prime Minister of India on public information, infrastructure and innovation, conferred by the All India Management Association in 2011. Triple bottom line suggests that companies should be preparing three different (and quite separate) bottom lines. One is the traditional measure of corporate profit - the bottom line of the "P&L Account". The second is the bottom line of a company's "People Account" -a measure in some shape or form of how the organization contributes and deals with people inside and outside the organization. The third is the bottom line of the company's "Planet Account" - a measure of how environmentally and socially responsible has the company been. Image: Ratan Tata, chairman of the Tata Group, speaks during the Vibrant Gujarat Global Investors' Summit 2011. While Ratan Tata did all the three things, what makes him different and superior is his inner qualities that I call the being part of leadership. In my previous article about Tata (on announcing Nano), I had written that a Leader's inner values influence their outer behaviour. 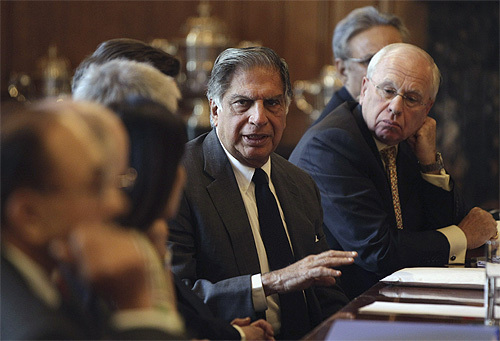 Ratan Tata and his group held their bigger purpose; Nation building and employment close to their heart, while driving operational efficiency and profitability. The purpose statement of Tata says "At the Tata group we are committed to improving the quality of life of the communities we serve". Anyone who visits Jamshedpur will know the meaning of this purpose statement and how well this statement is expressed and executed there. There are three characteristics that I have noticed among leaders that make them conscious, responsible and effective leaders. Ratan Tata demonstrates all the three characteristics. 1. Leader has a bigger, higher purpose for you and your organization that expresses responsiveness to community. While some organizations do create the higher purpose, they do not operationalize that. In the absence of translating the higher purpose into actions, these statements become static and meaningless, limited to websites and decorating boardrooms. Individuals and organizations that have imbibed their higher purpose experience more meaning in their life and fulfillment. An organisation that has a well articulated and operationalized higher purpose would create sustainable business success, employee loyalty, satisfaction and a sense of pride. Tata group is an ideal example of all that. 2. Leader uses creative tendencies than reactive tendencies to get results. Some people achieve results using reactive competencies and tendencies like controlling, manipulating, pleasing and complying. While some others would achieve similar or better results using creative tendencies like relating, self awareness, purposeful actions, and authenticity. If an organization is only interested in driving financial results, they might be doing this by using reactive competencies. We all know that results can be achieved using multiple motivational drivers. Someone who is extremely insecure and controlling will use those tendencies to drive results. While most competency mapping assessments and exercises measure behavior and competencies to get results, the intent behind the behaviour is often missed out. When we go beyond the visible behaviors and understand the intent and internal drivers of the individual, we would know whether they are using reactive competencies or creative competencies to win. 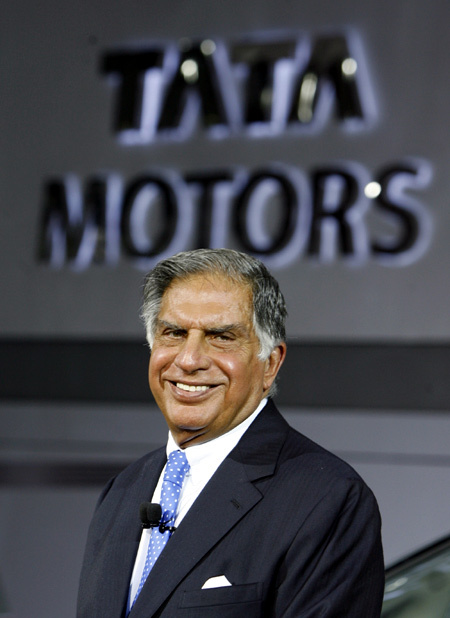 Ratan Tata used more creative competencies to lead the organization. 3. Leaders operate from higher order values. Robert Kegan, a professor at Harvard Graduate School proposed a range of "orders" of the mind and of the need for leaders to scale their abilities to the higher orders so they can solve complex problems and create personal transformation. Richard Barret, author and expert on values talks about seven levels of consciousness–a model he developed as an extension of Abraham Maslow's hierarchy of human needs. While survival, selfish wealth creation, power, greed, status, being liked can be considered as lower order values; self actualization, service, trust, honesty and Integrity can be considered as higher end values. 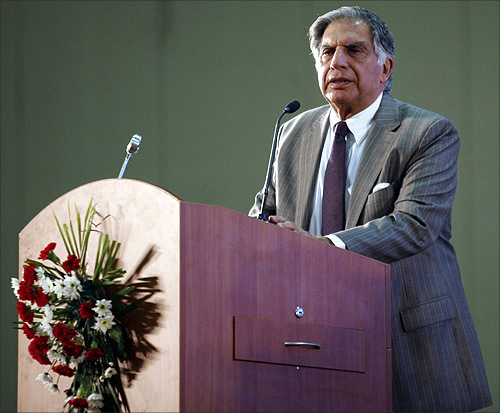 Because of the above three leadership qualities, it is evident that India needs more Ratan Tatas and Indian organizations that follow the Tata's footsteps for social responsibility and conscious capitalism. We need a movement involving the senior corporate leaders of this country to align businesses with long term sustainable practices and social contribution. There is none other than Ratan Tata who could drive this. 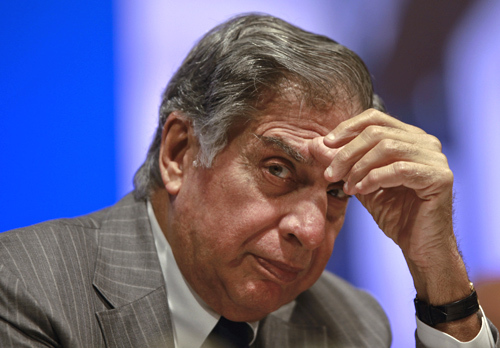 Ratan Tata's retirement from active business role should lead to his spending more time on helping organization's articulating and operationalising a higher purpose. Santhosh Babu is the founder and managing director, Organisation Development Alternatives (ODA).